Supporting the relationships we have in our community is a fundamental ingredient to what we do at Leone, McDonnell & Roberts, PA. One of our friends in the community, Dover Children’s Home, continues to shine in all they do to enrich the lives of under-privileged children confronted with tough situations and circumstances. They are truly an inspiring organization. 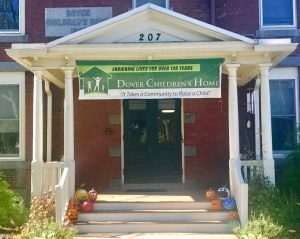 According to their mission, Dover Children’s Home helps to strengthen family relationships through the highest quality residential treatment services and educational programs. They are committed to evolving and designing new treatment programs to help children facing some of life’s most difficult challenges so that they may grow and live healthy, productive, and independent lives. The organization receives some state funding, but relies heavily on the generosity of donors and community partners for additional support. Over the years, LMR employees have attended their annual Tasting Tour, participated in their golf outing and more. We recognize the value in supporting each other and have enjoyed a number of events with Dover Children’s Home over the years. On behalf of Leone, McDonnell & Roberts, PA, we recognize Dover Children’s Home as an outstanding organization and congratulate them on celebrating 125 years serving our community. For more information about Dover Children’s Home, please visit their website.